Most of Sunday’s attention on the PokerStars World Championship of Online Poker was focused on the start of the Main Event, but while over 2,000 players were plunking down $5,200 for a shot at $1.5 million, some of the game’s best players were battling it out for one of the most prestigious mixed game titles of the year. The $1,050 buy-in Medium version of Event #54 saw Noah ‘Exclusive’ Boeken pick up $41,630 and the title. Denis ‘aDrENalin710’ Strebkov came close to a sixth 2018 WCOOP title, finishing fourth for $14,480. Croatia’s ‘Zelja22‘ won the Low version for $16,616. Finnish pro ‘Aku1206‘ beat out 219 other players to win Event #52 High ($530 Six Max Pot Limit Omaha (w/rebuys)) for $83,528.72. Russia’s ‘nafnaf_funny’ won the Medium event for $26,966.30 and Hungary’s ‘sorcloud666‘ won the Low for $6,606.40 after agreeing to a deal with three players remaining. ‘ANDREIIANN‘ collected $112,999.03 for winning Event #53 High ($2,100 Six Max No Limit Hold’em). Melker ‘pkr_falk’ Larsson fell one spot short of the title, earning $83,758.94 in the process. ‘WRUUUUM‘ rounded out the podium finishers, earning $62,085.23 for third. The Medium and Low versions of Event #53 were both subject to a deal. 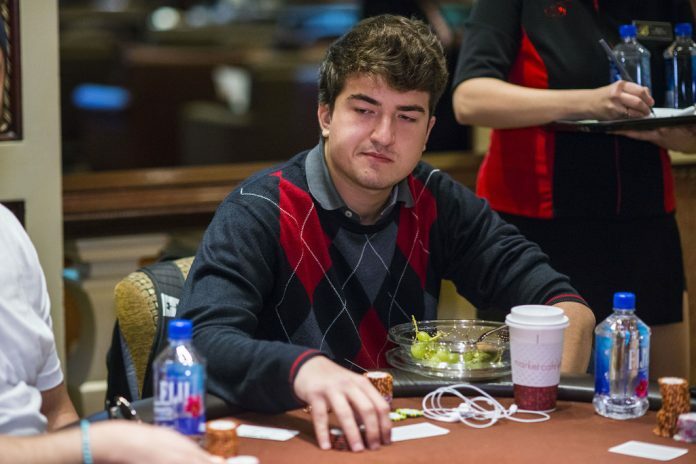 ‘babecallme‘ and Pete ‘Solidthought’ Rees picked up $51,699.74 and $45,044.79 respectively in the Medium event. ‘Money MaikeB‘, ‘iw1‘ and dontworryimf‘ split up just over $56,000 with ‘Money MaikeB’ grabbing $21,669.23 for the win.